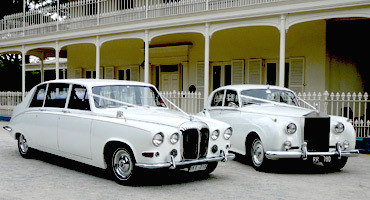 Classic and Prestige Car Hire is a boutique wedding car company offering a fleet of Rolls-Royce Silver Cloud sedans. These 1960 luxury British cars are a very elegant way of travelling on your wedding day and will certainly have you arriving refreshed, relaxed and looking as lovely as a bride should on her wedding day. 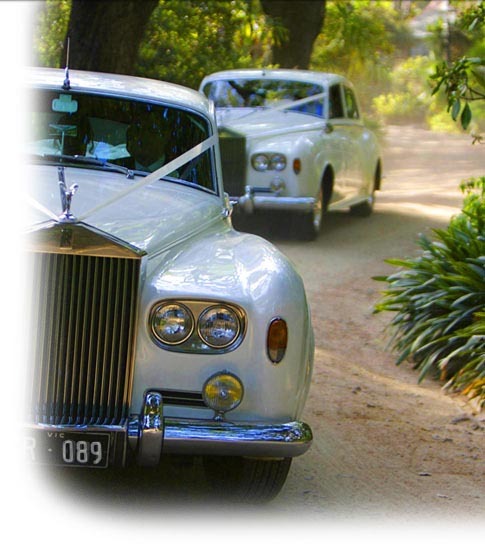 Classic and Prestige Car Hire has been providing wedding cars for Melbourne couples for more than 20 years and our professional chauffeurs will do everything they can to ensure your day is just perfect. Cars are available in white and are air conditioned for your comfort. At Classic and Prestige Car Hire, we pride ourselves on our attention to detail. If you require a limousine to carry your bridal party, we can arrange for a 6 seat classic Daimler limousine or a 10 seat Lincoln stretch limousine to compliment your Rolls-Royce Silver Cloud bridal car. These cars are supplied by fellow Wedding Car Association members and can be booked through Classic and Prestige Car Hire.